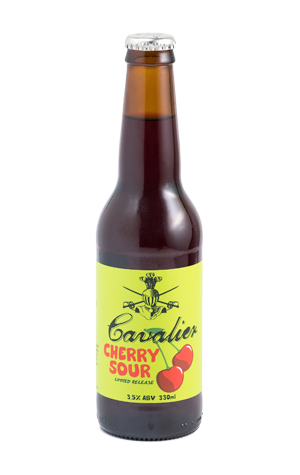 Cavalier's Cherry Sour is a beer that first appeared as a one-off a couple of years back, one that we'll admit didn't hit the mark here at Crafty Towers, but which proved popular enough to return – and, when it did so, arrived in much improved (to these taste buds, at least) form too. And now it's become an annual summer release for the Melbourne brewery, one that tends to disappear faster than pretty much anything else they put out. It's not hard to see why it moves fast at this time of year either. It's a kettle sour, thus delivers the refreshing, cleansing acidity of such beers. The "crap load" of sour cherries add fruity aromas and added tartness to boost the refreshment quotient further still. And, at just 3.5 percent ABV, it's got a mid-strength's repeatability-without-falling-over qualities too.